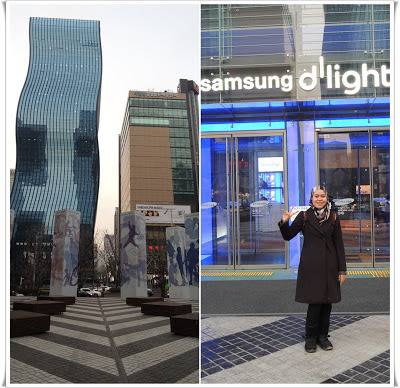 If you happened to be in Gangnam area, let's say after visiting Lotte World at Jamsil Station or COEX at Samsung Station, why don't you take a look at Samsung d'Light. Samsung; one of the giants in almost every industry in Korea has built up a global exhibition space - Samsung d'Light for its products by Samsung electronics. I have had a Samsung MP3 Player and Samsung LCD TV back at home; quite okay and have yet to acquire the hand phone though. Many of those who toured with me carry a Samsung phone. Many of Korean too either use Samsung smartphone or at least have some electronics stuff made by Samsung at home. 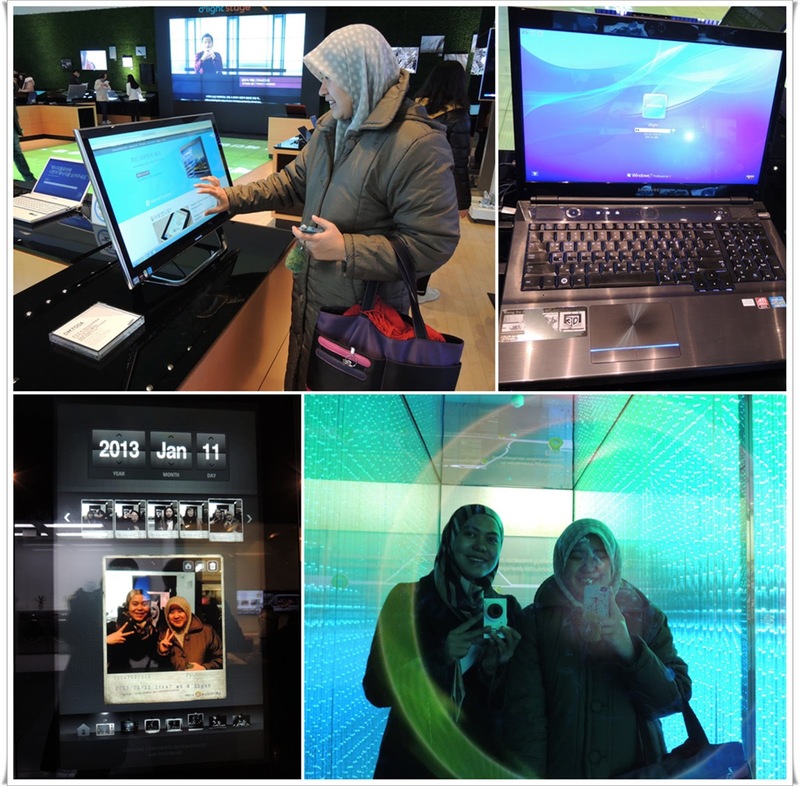 When I heard that Samsung has an exhibition center, I was quite excited to check the place out. I love the hologram skit on the floor, really cool. Feia and me had the chance to test on Microsoft Windows 8's performance on Samsung's range of laptop too. Nice..nice..nice. Tested Windows 8, took photo for memory and played with cool lighting. unique building. Samsung d'Light is just across. How to go to Samsung d'Light? Go to Gangnam Station, Line 2, exit 8 and once you walk towards exit 8, you should see this entrance as the picture below. 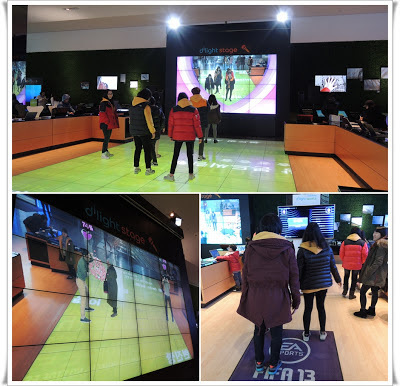 Just follow the direction and you will go to basement floor - B1, where Samsung d'Light shop is as seen in the picture below. After that, go to 1st floor, where you can experience Samsung electronic's latest product.